Syrian refugees in Lebanon suffering from chronic diseases face difficulties accessing diagnosis, medicines and ongoing care. The International Committee of the Red Cross (ICRC) and Novartis are partnering to improve care and treatment for the most vulnerable population in Lebanon. The objective is to establish a blueprint for improving diagnosis, treatment and follow-up for refugees, as well as members of their Lebanese host families, who suffer from chronic diseases. Novartis will provide medicines for high blood pressure and diabetes, diseases that together account for more than 50% of deaths in Lebanon every year. The medicines are being supplied through Novartis Access, a program that focuses on affordability and availability of on- and off-patent medicines addressing key noncommunicable diseases. The portfolio of medicines is offered to governments and public-sector healthcare providers in lower and lower-middle-income countries at a price of USD 1 per treatment per month. 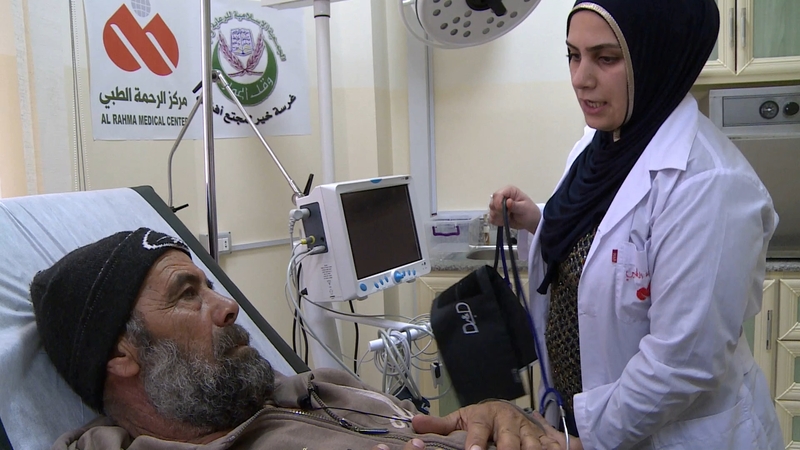 The ICRC is working in Lebanon to help patients affected by the most common chronic diseases. Half of the population in Lebanon does not have any type of health coverage and the refugee crisis has placed a significant extra burden on medical facilities already struggling to provide basic levels of healthcare. Refugees are at particular risk of dying from strokes and heart attacks because managing chronic disease requires early detection and long-term treatment. With a migrant population of more than one million people who have fled the fighting in Syria, refugees now account for about one-third of Lebanon’s population.